Medium, the digital publishing start-up led by Twitter co-founder Evan Williams, is about to add the largest website yet to its growing portfolio. The liberal site ThinkProgress will shift over to the platform next month. "It's really impossible for an independent publisher to develop and maintain their own publishing platform in this environment. Most of our tech resources were expended on just making sure our site didn't crash," ThinkProgress editor-in-chief Judd Legum told CNNMoney in an email. "We don't have a 'product' team. So we had to divert editorial resources to think about the technology and what new tools and features we needed. Now we can let Medium develop the technical product and we can focus on writing stories." Unveiled by Williams in 2012, Medium functions as a unique hybrid: part blogging platform, part social network. Last year, Williams wrote that "Medium is not a publishing tool," but rather a "network of ideas that build off each other." The "network" part of that equation appealed to Legum. For digital media brands in 2016, "fishing where the fish are" means courting readers on Facebook, which has accumulated considerable influence in web publishing since ThinkProgress was founded. "When we started in 2005 this wasn't a huge deal. Most people were just coming to your site directly from their desktop computer and the expectations for their experience were low," Legum said. "Now people are coming through a variety of devices and usually through Google or social networks. If your site doesn't load instantly, they'll just go back to Twitter or Facebook." But the fish might not be biting in that stream forever. Facebook announced changes to its News Feed last month, giving higher priority to posts from users' friends as opposed to content from publishers that depend heavily on the social network for traffic. Legum sees next month's move as an opportunity to grow the ThinkProgress audience "natively." He described Medium as "effectively a social network that values publishers." "A lot of the traffic growth over the past few years has been driven by 'drive by' traffic from Facebook and other social networks," Legum said. "This is, of course, great but the interests of Facebook and publishers are often at odds. Publishers want traffic on their websites and Facebook wants traffic and engagement on Facebook. 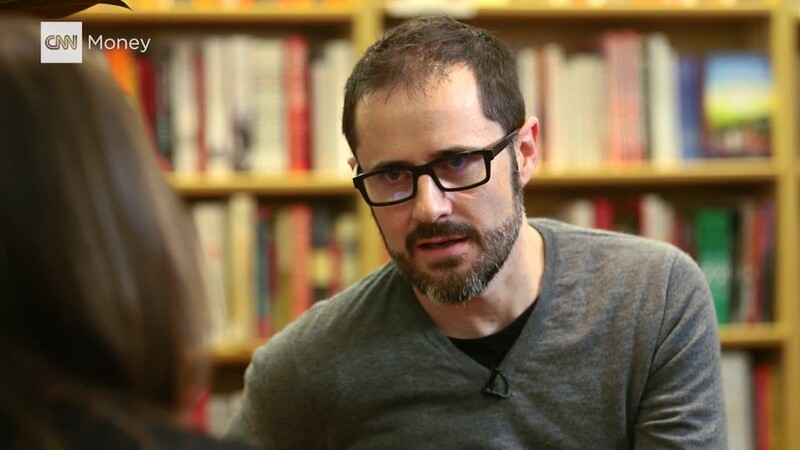 On Medium, our interests are aligned." Edward Lichty, head of partnerships at Medium, said the company has drawn interest from sites to its platform by offering zero-cost hosting and "always-on product innovation." Medium said last month that the beta version of its revenue program, which allows sites to take a cut from branded posts placed at the bottom of an article, has drawn applications from almost 400 publishers. Legum said that also sweetened the deal. Although ThinkProgress is part of a non-profit, Legum said the site funds "a good part of our operations through ads." ThinkProgress is now the largest site to migrate to Medium, but it isn't the first major online brand to make the move. The Ringer, the new website from sports commentator Bill Simmons is also hosted on Medium. ThinkProgress, which describes itself as "an editorially independent project" of the progressive advocacy group Center for American Progress Action Fund, has established itself as one of the more widely read left-of-center digital publications in the decade since its launch. The site's traffic has gone up 24% in the last two years, according to ComScore, with the number of monthly unique visitors typically between 6.5 million and 9 million. Legum said the size of the staff has doubled in the last four years, swelling to its current number of 37. Meanwhile, ThinkProgress is producing 60% less content than it did in 2012, a dip that Legum attributed to the increase in the site's original reporting. "Projecting forward, I was worried about us being nimble enough to adapt to changes in the media landscape that we aren't able to anticipate," he said. "Now we have a partner with the goal of making a publishing tool that is always on the cutting edge. I'm more confident now that if we produce great content we will be able to succeed."